﻿This leather armor is meant to wear underneath a centurion Muscle armor. 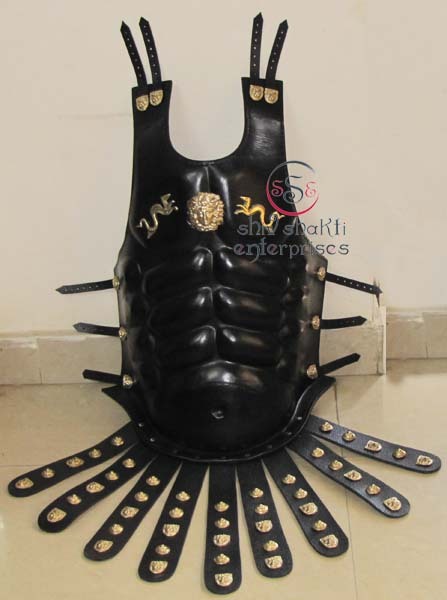 Black Leather Muscle Armor Skirted Cuirass﻿. Beautiful muscle armor with brass fittings. 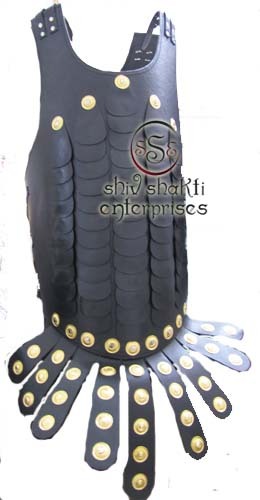 ﻿High quality Museum Hand made replica at Lowest Price. Our wearable muscle armour includes the breastplate and backplate and looks stunning over chainmail. 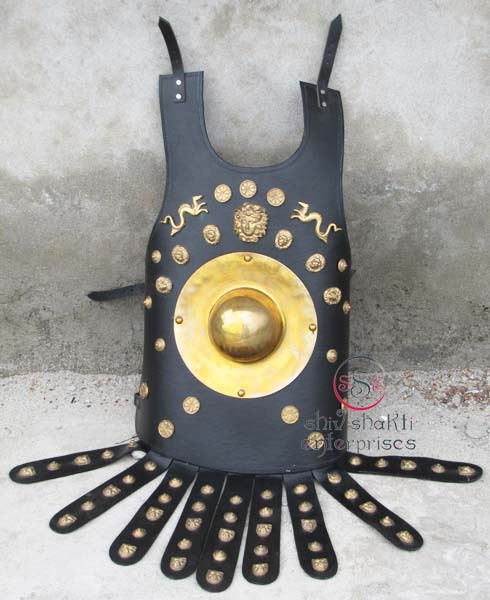 This would be a great addition to any armor collection and perfect for those who fight in re-enactments. ﻿This breastplate is similar to the gothic knees in that it, too, has many flutes running over the surface of the mental. 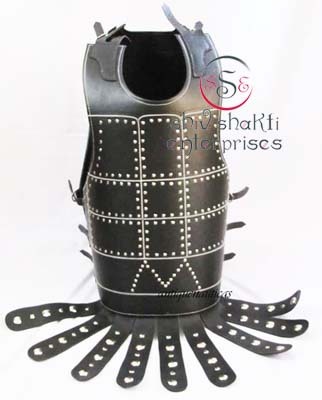 This full sized armor replica is fully wearable and can also be put on display. Worn in variations by many cultures such as the English, French, and Spanish, this provide ample protection while providing plenty of freedom of movement. ﻿These hand crafted steel clamshell gauntlets feature finely tuned & articulated 5 lame full finger protection, a floating thumb plate, metacarpal plate, and ridged cuff plate w/ leather articulation. As opposed to dishing, each pair of gauntlets are hand raised on a ball stake to create the shape of each plate.